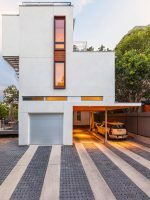 If you’re considering investing in an asphalt driveway, then you’ll need to consider the implications of how to take care for it and make sure that you get the most from your investment. Here is the RenoCompare comprehensive Q&A for new asphalt driveway care and maintenance. 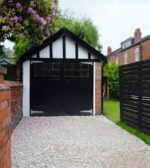 New asphalt driveway outside a brick house in London. How long does it take for asphalt to cure? Technically speaking, it takes about a year for asphalt to fully cure. But, don’t worry, this doesn’t mean you have to stay off your new asphalt driveway for that long! So, how long before I can park on my new asphalt driveway? 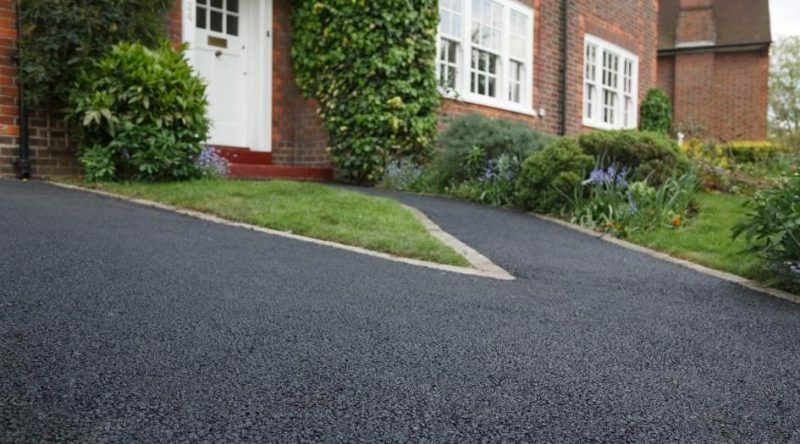 In an ideal world we would advise keeping people, pets and cars off a newly installed asphalt driveway for three full days minimum – and up to five days in summer, when temperatures are at their hottest. I’ve got a camper, when I can park that on my new asphalt driveway? Sorry but… if you have a camper or boat on a trailer then definitely keep it off your new asphalt for at least a month, ideally a year! If you have to park you camper or boat, then place pieces of plywood under the jack and the tires to distribute the weight and avoid divots or depressions appearing in your driveway. And if you have a very heavy truck, don’t park it on your asphalt driveway at all! So if it takes one year to fully cure, are there any other precautions I should take when parking? Even though you can park your car on your new driveway within a week, as we’ve mentioned the asphalt is still curing, and so for the first twelve months we recommend that you avoid parking exactly on the same spot every day. Hopefully your driveway will be wide enough for you to park in a slightly different spot each time. Why have I been told to keep away from the edges of my asphalt driveway? The edges of your new driveway are likely to be a little thinner and more vulnerable to cracking and crumbling. The best way to help avoid this is to not drive on those edges; you should also consider extending the compacted crushed stone layer that sits under the asphalt top layer to give extra support. About 6 inches of crushed stone either side of your driveway should do the trick! 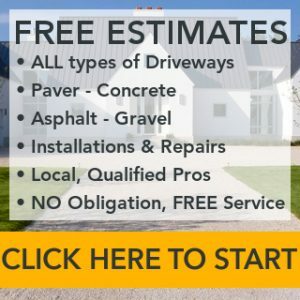 Should I consider sealing my brand new asphalt driveway? No! In fact, you should never seal a new asphalt driveway straight away as that will delay the curing process; it will trap the oils in the asphalt that need to evaporate to cure. Some installers recommend sealing asphalt driveways about 30 days after installation, then every one or two years after. This could prove a costly maintenance expense, and isn’t actually usually necessary. The main thing is to ensure that your asphalt driveways is sealed when you begin to see the aggregates in the top layer of asphalt showing through, or when its first deep black color starts to look very gray and faded (see more about this fading below). What else can I do to protect the asphalt top layer? Apart from avoiding parking in the same spot all the time, the other top tip is to avoid spilling or leaking corrosive materials like gasoline, antifreeze, transmission fluid or oil. These fluids can cause holes in asphalt, and need prompt repair if they do occur. But how do I ensure cracks don’t appear in my asphalt driveway? If your new asphalt driveway starts to crack, then that could be a sign of poor installation. The top layer of asphalt is actually quite flexible, so if it starts cracking within a couple of years then those cracks may be coming from badly constructed layers deeper underneath. So be sure that your asphalt driving contractor knows his job. There should be a layer of underlying soil, and then between 4 to 8 inches of crushed stones on top (depending on whether your underlying soil is sand or clay based). Both of these layers should be compacted down with a roller and ideally left to settle for a week before the top layer of asphalt aggregate is applied and compacted. However, even if asphalt is installed properly, local weather conditions can still cause cracks to appear – a combination of harsh UV rays in the summer and ice formation in winter can make the asphalt brittle and more prone to cracking. Furthermore, as asphalt cures it also oxidizes which causes its color to change from black to gray – this is also a sign that the asphalt is becoming more brittle. So when you see that your new driveway is very faded, but not yet cracked, that’s a very good time to get it sealed! The Asphalt Institute recommends seal-coating a well-designed and constructed asphalt driveway every 2 to 5 years. I’ve heard that I should be watering my asphalt driveway, is this true? Cooling down your asphalt driveway with water is recommended when outside temperatures are over 80°, as when it’s as hot as this, the asphalt can soften. Cold water will effectively stop the softening, and harden your driveway temporarily. With proper care and maintenance, an asphalt driveway that has been properly installed should last up to 15 years before it will need replacing. 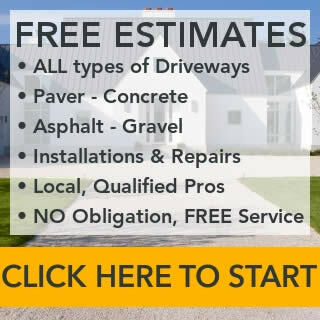 Find out about new and replacement asphalt driveway costs.